Are you ready for a new episode of ComicImpact”s Pick of the Week Podcast? 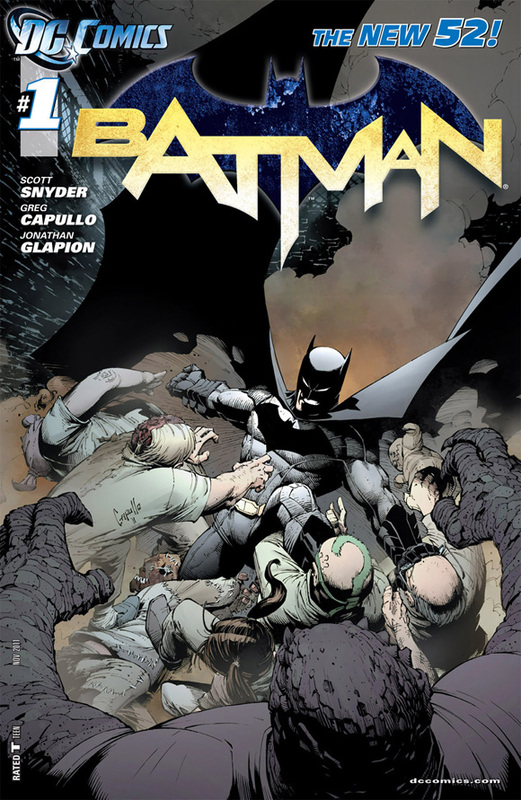 This week was a no brainer If you have been listening to the podcast, or talking to Simon, you know he was more than excited about Batman #1 by Scott Snyder and Greg Capullo. Join the podcast team of Simon, Sheldon, and Matt as they talk about the third week of DC’s “New 52”. Find out what the boys think of Batman #1,NightWing #1, DC Universe Presents Deadman #1, Wonder Woman #1, Avengers #17, Ultimate X-Men #1, X-Men Schism #4, Red Wing #3, Teenage Mutant Ninja Turtles #2 and more. your weekly audio experience called the Comic Impact POW (aka Pick of The Week) Podcast! You don’t want miss this episode. After all, it was Sheldon birthday last week and not only did he get older, but his favorite band is no more.